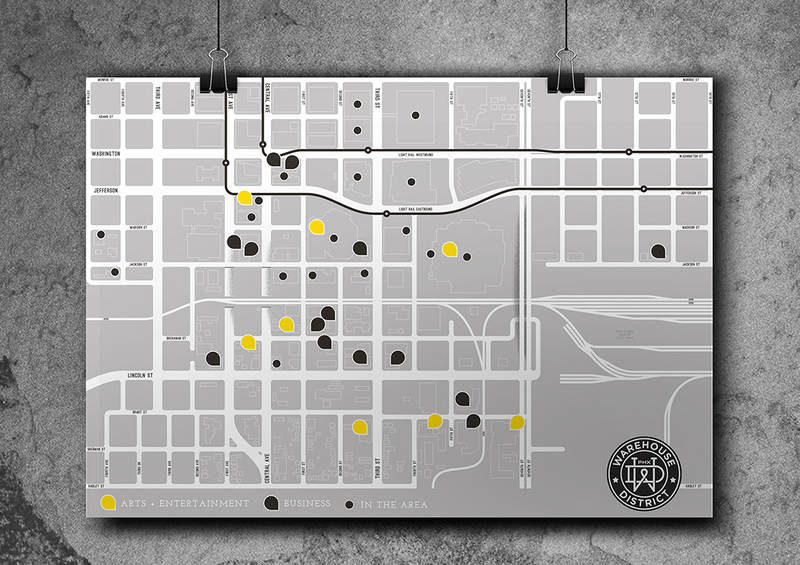 In 2015, eager to become more involved in the redeveloping urban fabric of downtown Phoenix, Gould Evans + Canary moved from mid-town Phoenix into the downtown Phoenix historic area known as the Warehouse District. 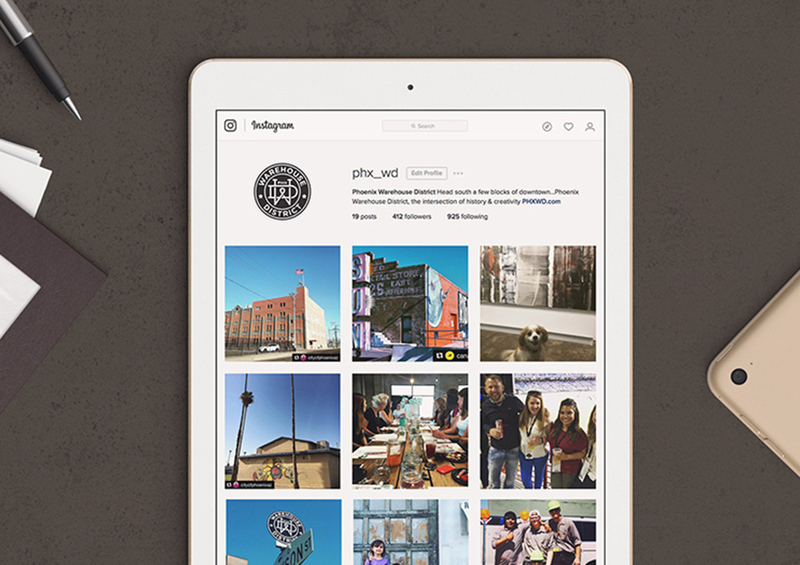 The rebirth of the neighborhood is drawing an eclectic mix of creative organizations, populating the community with a new and refreshed energy. 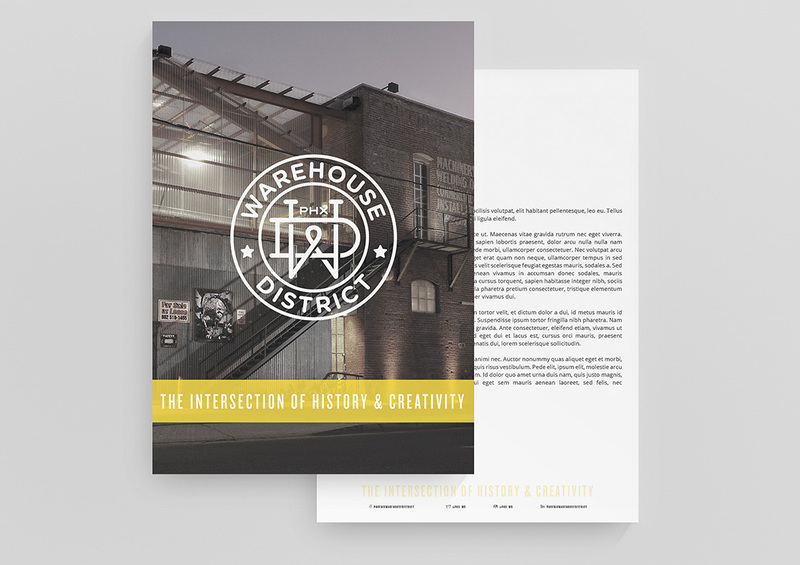 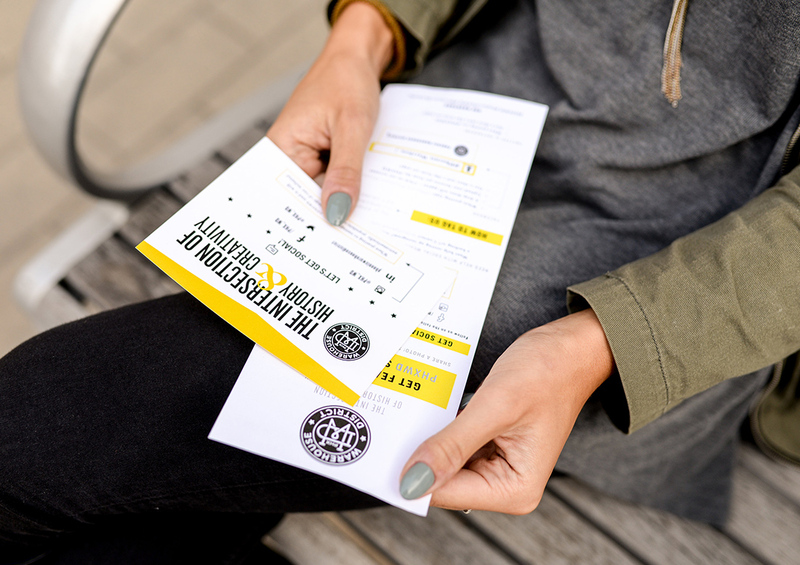 Working in partnership with a local advertising agency that had already completed the Warehouse District logo, Canary was tasked with rebranding the Warehouse District website and collateral materials that honor the history of the district while embracing the creativity of the new community. 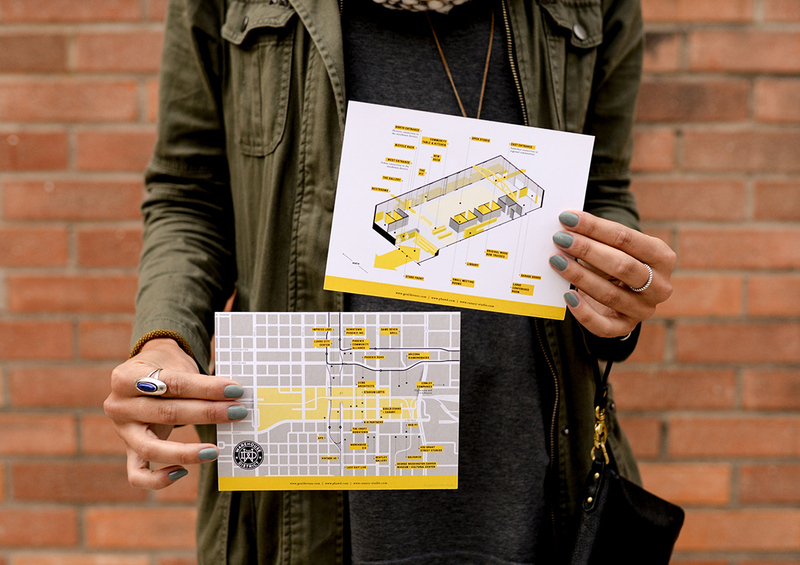 Canary first identified specific messaging for various user groups, developed a collateral and asset management system, including internal and external business templates, brochures and additional marketing materials such as tote bag, t-shirt, and walking map of the District. 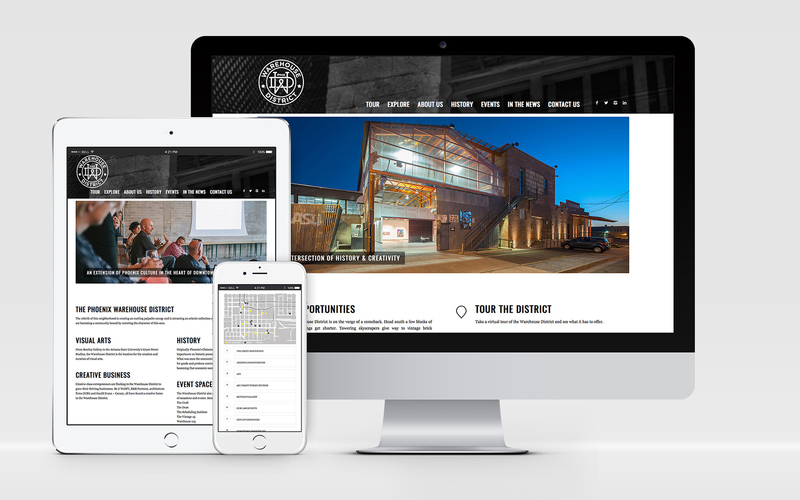 The results effectively communicate the historic importance of the Warehouse District and attract a variety of user groups to the area, helping to restore this neighborhood as an economic core of downtown.